The term industrial manufacturing refers to the production of merchandise in large scale supplied to local factory’s, Africa Bearings supplies industries in and around Cape Town with automotive, industrial and mechanical engineering equipment at affordable rates and with high-quality merchandise. At Africa Bearings, our aim for every one of our clients is to have reduced energy consumption as well as assisting you to reduce your total cost of ownership. Bearings are a crucial part of the machinery and can enhance the functionality to increase energy savings and performance. The cost of living currently has increased and the economic crunch of costs for oil and natural gas has our budgets tightening and investing in new equipment is not always possible, however we at Africa Bearings know that affordable industrial machinery is of the utmost importance and that companies need industrial machinery spare parts that are reliable and durable. Purchasing high-quality industrial machinery and industrial parts that are long lasting, reliable and affordable can save the industrial sector millions of Rands. 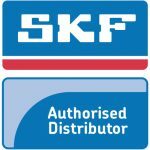 Centrally located in Cape TownAfrica Bearings has over 30 years of SKF experience, we pride ourselves on our customer service, reliability and top class products designed specifically to attain each individual customer’s needs. Africa Bearings offers a quality guaranteed wide selection of bearing technologies, lubrication systems, sealing solutions, and an array of mechanical engineering and asset management services. 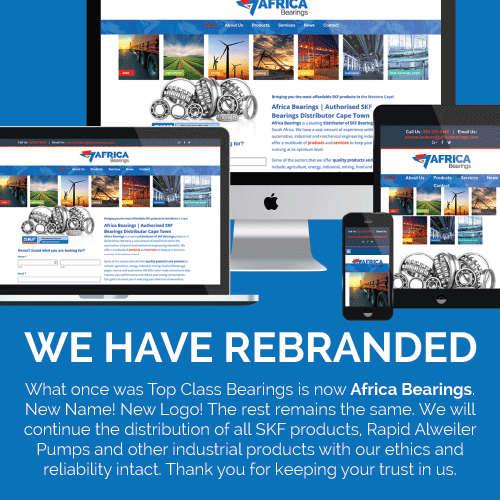 Over the past 30 years, Africa Bearings has proven to be one of the best manufacturers in the industry. When it comes to performance and complete customer satisfaction Africa Bearings premium bearings are tried and tested, giving you the peace of mind, knowing that we always deliver on our quality and durability. Our team of friendly experts with extensive knowledge will help you select the correct equipment for your needs. For more information on our products and professional services please contact us today, we pride ourselves in our abilities and our initiative to go that extra mile for every client.